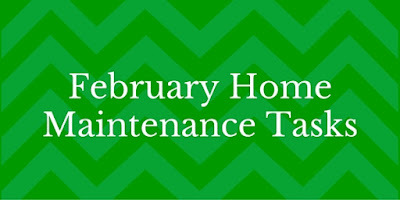 Every month, we share easy tasks you can do to keep your home in tip-top shape all year long. 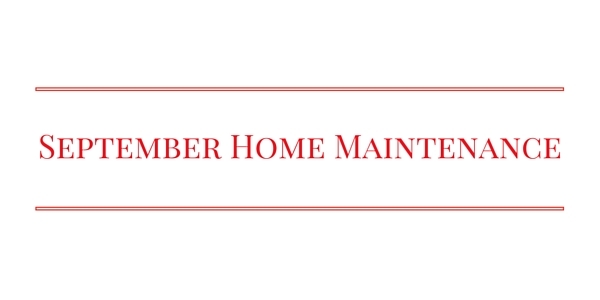 So here are a few simple tasks you can do in September to prepare your home for cool fall weather! Get Ready For Autumn - Now is a great time to start planting some fall flowers. Mums and pumpkins make a great addition to your front porch! Spring weather will be here before we know it! And now is the time to think about protecting your home and family. Keep emergency phone numbers in your cell phone contacts, including the phone number for our office (508-347-9343) in case you need to make a claim. You could even save a note in your phone with your policy numbers too. If you do suffer damage, give us a call to report a claim once the danger has passed. We’ll do everything we can to make the claim process simple and quick! 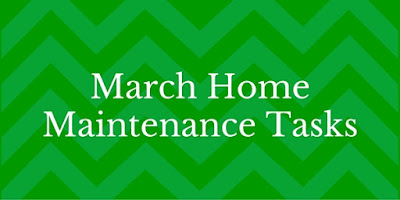 Change Batteries In Smoke Detectors - When the clocks spring forward, take a few minutes to change the batteries in your smoke and carbon monoxide detectors. This way you know that they’re always in working order! 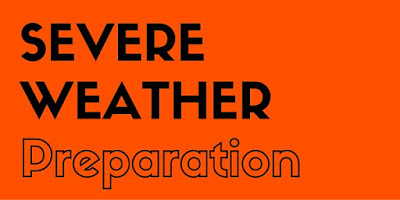 Make A Severe Weather Plan - March is Severe Weather Preparation Month. Designate a safe place in your home in case of dangerous weather. Stock it with basic emergency supplies and throw in an extra flashlight, batteries, and a weather radio too! Make sure the entire family knows where to go during a severe storm and how to get alerts. Check Your Credit Report - March is also Credit Education Month. When was the last time you checked to see that your credit reports were accurate? If it’s been over a year, stop by www.annualcreditreport.com and order a free copy today. Then use an app like Credit Karma to check your credit score with multiple bureaus. These steps can help you catch identity theft or errors. Plus, good credit saves you money on interest and insurance! Review Your Insurance Discounts - Are you getting all the discounts you qualify for? While you’re busy preparing your taxes and spring cleaning, take a few minutes to call us to review your policy! We’ll make sure your information is all up to date and that you’re receiving every discount that you qualify for. And as always, give us a call at 508-347-9343 if you have any questions or need assistance with auto, home, business, or life insurance. February is one of the busiest times of the year for engagements and weddings. And if you’re planning to tie the knot soon - congratulations! Now it’s time to think about what this means for your insurance! When you get married and combine two households, there are some important insurance things to think about. Let’s go over some of the most common (and often overlooked). Once you’re married, you’ll want to combine your vehicles onto one auto insurance policy. Bonus? Many times you’ll get a discount when you have multiple vehicles on one policy! If you only own one vehicle, just make sure to add your spouse to the policy. Next you’ll want to make sure that you have renters or homeowners insurance in place for your new household. If you’re keeping your current residence, just have us add your spouse to the policy. 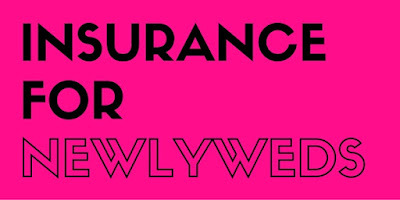 If you’re renting and don’t have coverage, have us quote a renters insurance policy! You’ll save on your auto insurance PLUS protect all of those fancy wedding gifts! And finally, have a conversation about Life insurance. No one wants to think about this important coverage but if you’re planning to start a family or if your spouse depends on your income, then now is the time to get it started. We can quote an affordable life insurance policy to protect your new family. None of this is time consuming or difficult! In fact, it can usually be done in one short phone conversation. Call us today at 508-347-9343 to discuss your policy! 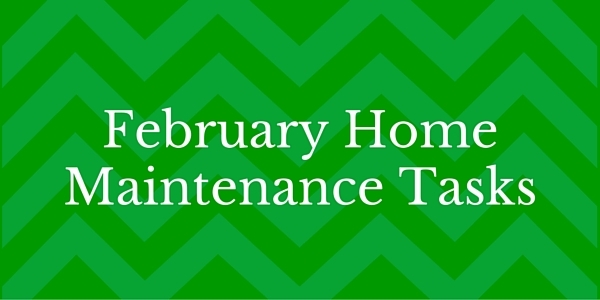 Each month in 2016, we’ll be sharing a short list of tasks and ideas of things you can do to help take care of your home, vehicle, and family. Consider them a helpful reminder of what needs to get accomplished throughout the month to keep your important items protected. Show The Love! - There is no better way to show your family how much you love them, then with the proper amount of life insurance! We can give you a quote on an affordable term policy and help you get this important coverage in place quickly. We LOVE to help our clients! Let us know if we can assist you in any way with your auto, home, business, or life insurance. 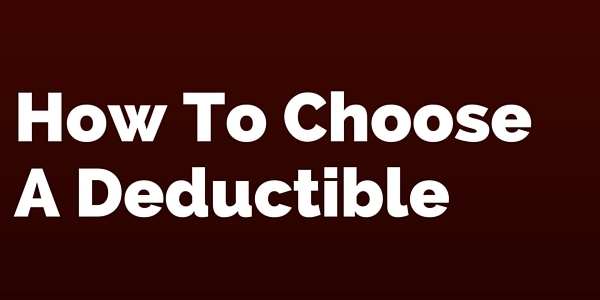 Deductibles are a big part of your insurance policy and it’s important to know what they mean and to choose the right amount. Let’s talk about the basics! The collision and comprehensive coverage on your vehicle will each have a deductible listed. The deductible is the amount YOU will pay out of pocket before your insurance kicks in. So if you choose a $500 deductible and have an accident, then you will pay $500 and your insurance will cover the rest (up to your policy limits. Ask us about your particular policy for specifics.) Deductible options vary from $1000, $500, $250, even as low as $50 in some cases. So how do you choose the right one for you? First it’s important to see how your deductible affects your rate. The lower amount you pay out of pocket after an accident, the higher your insurance premium. This means you’ll pay more each month for insurance if you choose to pay less after a claim. We can quote your policy with different deductibles to give you an idea of the cost. Second, you want to look at your savings. If you have a good amount of emergency savings and could easily pay out $1000 after a claim, then you would probably want to look at a higher deductible in order to save on premiums. On the other hand, if you have very little savings and couldn’t pay out that much after a claim, you might want to look at a slightly lower deductible that stills fits in your budget. And finally the best option - ask your agent for help! We can sit down and explain ALL the options, rates, and discuss your personal situation in detail. This way you know that you’ve got the best coverage at the best possible rate. 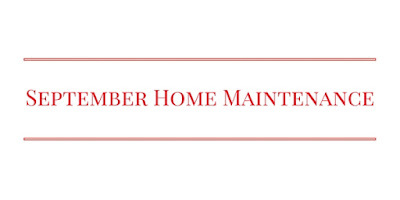 Call us today at 508-347-9343 to start your quote. Ask An Agent - Do I Have Full Coverage? “Do I have full coverage?” is a popular question around our office. Clients often want to know if they have full coverage or liability only on their auto insurance policy. Unfortunately, there is no such thing as full coverage insurance! 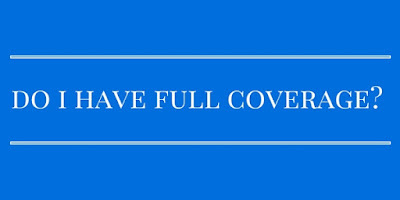 Here’s the problem - “full coverage” has become a common term, but it can mean lots of different things. If a bank tells you that you need full coverage, they typically mean Collision and Comprehensive coverage. 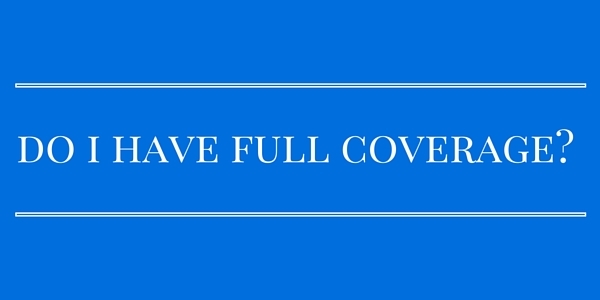 But you might think that full coverage means you have everything we offer. And there are a few important differences between the two. Collision is what fixes or replaces your vehicle if you have an accident. Comprehensive is what fixes or replaces your vehicle after storm damage, theft, vandalism, and other situations that don’t involve an accident. These two coverages are usually required by lenders and are sometimes called full coverage. But there are other things you may THINK you have when you say full coverage, that aren’t automatically included. One of those items is Rental Reimbursement. This is the coverage that supplies you with a rental car while your car is in the shop for repairs due to a claim. Another is Towing coverage, which tows your vehicle if it breaks down or even runs out of gas. So what should you do to make sure you’re protected? The best recommendation is to work with a local agent who can sit down and review your coverage line by line. We’ll explain each item, make suggestions for gaps you may have in your coverage, and make sure that you know EXACTLY what you’ve got! No more vague “full coverage” nonsense. Call us today for a quote or to review your current policy! Getting organized is one of the top New Year’s Resolutions each year. 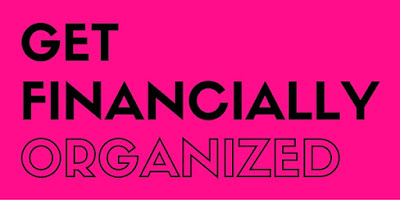 And while you might not be ready to organize your entire house, here are a few things you can do to quickly organize your finances! Review Your Statements - Look over your bank and credit card statements for the past year. While it’s great to check for mistakes on a regular basis, this time you’re looking for things that you pay for each month. Those recurring monthly charges or fees can cost a lot if you’re not actually using the service. 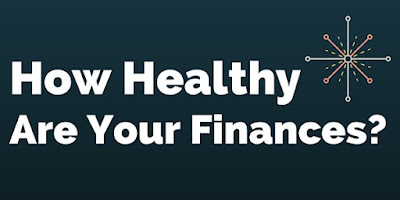 Look for anything that you can cancel in the new year and put that money in savings instead! Check Your Credit - You should check your credit report at least once per year. You’ll want to look for mistakes as well as see your credit score to determine how healthy your finances are. Use a website like www.annualcreditreport.com to request a free copy of your credit report. Sites like Credit Karma are also an easy way to estimate your credit score. Your credit card company may also offer credit monitoring services. Backup Your Computer - This might not be directly related to finances, but it’s a good reminder anyway! Take a few minutes to back up your computer, phones, and photos. Use a tool like Dropbox or iCloud to securely backup your documents. Getting organized doesn’t have to be difficult! Take care of these quick tasks and be on the road to financial wellness in 2016. Want to save money on insurance while you’re at it? Give us a call today at 508-347-9343 to request a free quote. Get rid of debt. Debt reduces your monthly income, costs you money in interest, and can make it harder to purchase a home. Maybe 2016 will be the year that you get rid of it once and for all? One simple tip you can start with is leave your credit card at home. Only having cash on hands limits your spending. For more great tips on where to start and how to create a debt payoff plan, check out books by Dave Ramsey or Suze Orman. Put more money in savings. The easiest way to save money each month? Put it on autopilot. Set up an automatic transfer from your checking to your savings account on the day you get paid. Or find out how you can save money tax free in a retirement account through your employer. The less you have to think about it, the easier it will be to save! Get the right insurance. You don’t want to skimp on insurance coverage, but you don’t have to overpay either! Call us today to schedule a free no-obligation insurance review. We’ll look at all of your needs and find you the best policy for the best price.